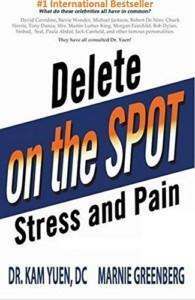 DELETE OVERWHELMING STRESS, PAIN, WEIGHT, FITNESS & AGING PROBLEMS! IMPROVE YOUR HEALTH & LONGEVITY! and resolved it on the spot. The objective is to make our lives free of pain and stress! Can’t lose weight despite all your efforts? ARE YOU STRUGGLING WITH EMOTIONAL ASPECTS OF CHRONIC PAIN? NOTE: If you've already watched the stream in real time, you will also benefit from watching a second time as the strengthening and deletion that Dr. Yuen and Marnie demonstrated will be reinforced. Immeasurably, stronger and able to keep myself strong to greater degree! Become more neutral than before. I feel more settled, relaxed, less anxious, quieter mind. I have listen to all your You Tube video’s on a daily basis because I feel improvement. Thank you always? It has made me have less reactions and more at ease with myself and others. I am stronger to speak up. More centered and sure. I have only listened to the replays of your live streams and had one short session with a very good Yuen practitioner in the Netherlands. I am a better being on all levels, time, space and dimensions. Thank You. From the April retreat: I am stronger and shake my vibrational bar every day, multiple times a day. People say I look as if I am glowing. I am more energetic, neutral and clear headed. I love it. My English is not so good, but I feel and open my heart to be connected. I’m in charge of my life because of the Yuen Method. The Classes gave me more reinforcement that I AM a Creator.of my reality, I can change conditions and beliefs easily. Dr Yuen improved my sanity, which I needed. Everyone has a story – but in telling it is not giving the needed results fast. I had years of counseling – I only ever understood the little bit of information I was willing to listen to. Everyone hates being criticized but I am a hypocrite, too, as I made up stories to explain what was happening to myself. I have been a Yuen method enthusiast for nearly 23 years. It shook my world then as it does today. Dr. Yuen also taught me how to stand, move, and position myself for ultimate strength. He’s a pioneer and leader in world of energy medicine, or better termed- lifestyle. We all need to tap into the unused resources of our world and human potential. Learning about deleting the mind helped me be more focused. I feel more empowered and in charge of my life and more neutral to other people’s and my own dramas. Want to attend an event! I need improvement and I’m very interested. I now can walk on my feet they don’t burn any more. But would still like help w my weight problem my grandson has it too .its like we can eat all day & never feel full 3 heaping plate fulls at a time. I am brand new to the method, but am already seeing some results. I went to the live event in Los Angeles in April and felt absolutely amazing afterward. I am continuing to study & practice on myself and others.I feel mastering this process will have remarkable benefit for myself & others. Possibly making this part of my career. 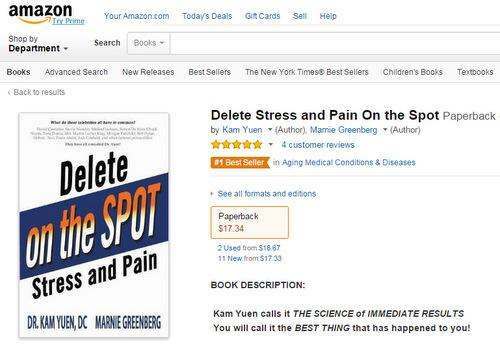 Thank you to Dr. Yuen & Marnie. Woohoooo!!!! Yes– In every way but finances….. Then I would take MANY classes? Many thanks? I no longer worry about the well being of my children. Also, I no longer feel overwhelmed when my husband goes to work for several weeks at a time . I strengthen my physical body, everything to my spinal cord , and my spinal to everything , structure , systems, organs, molecules , cells , atoms and quantum particles. I took one of Dr. Yuen’s seminars in Philadelphia years ago, and I have continued to use his method and take additional courses in energy work since that time. I feel my health and spirit (and my tai chi)have improved with Yuen. My Most sincere wish is that he would com back to the NYC area and teach here again. The Yuen Method gives me and my partner tools to correct weaknesses that lead to symptoms mentally, emotionally, or physically, rapidly, efficiently, and effectively. It is a gift every human of every age should be given. Yuen Method has given me a Career…..has helped me with Financial Support…I have had MS for 37 years …started with you 10 yrs ago in San Diego…I’m still in a wheelchair but I use the Yuen Method Everyday on myself and others…Fantastic!!!! Knowing I am in full control of my life. knowing the CNS and midline are the starting points to strengthening my entire body. My phobia of being in public has changed. My body is much lighter. So many changes. The biggest surprise was my mouth just quit aging. Dr Yuen did age correction, next morning my turned down mouth, which looked like a frown, was more in smile and upwards next morning. Thank you. I’m very grateful? It has improved my financial situation and helped me to be more neutral to almost every situation in my life. have not attended live events, but have done modules 4, 5 and 6 with K. Yuen. life continues to get better and better as more and more gets released. For others too, family and close friends. Mot ar not open to this method quite, and don’t understand how it works, but appreciate that i am ‘doing something’. I just call it strengthening them to whatever might have been a weakness. I’m received a certificate in level I. Have been using that along with my reiki master to help people. Still need practice more and more. I read the book and try to use by myself but it is not very easy for me. I want to use this great method and learn to get effective in healing. Tremendously, especially for my son. Huge difference in my life including the lives of the clients who have come to me by word of mouth whose lives have had immediate positive improvements. The gift Dr. Yuen provides is teaching everyone how to help themselves and improve their quality of life and share it with others. Always improving my life and understanding. The potentiality of the Yuen Method has me very excited and I hope to get certified with Dr. Yuen soon! Dr. Yuen has helped improve our family business. I have personal sessions with a local Yuen Method practitioner and they have resulted in many happy improvements and I feel very calm after the sessions. Financial…I have clients all over US and Canada. Physical…MS 38 yrs. I am able to Manage my symptoms…I would like MORE Improvement with this. I have a better sense of well being. He made me aware of the power within to easily delete all kinds of ailments…he is fantastic . Not really happy with the new girl , she is sweet , but I think it takes away from dr.Yuen’s charisma to heal the people … Just my opinion. Helps me feel weaknesses being presented and learn ways to clear. I am loving being neutral and learning the Yuen Method! Yuen Method is Invaluable to me…I’m a bit OCD with working on myself but I am Determined to walk again!!!! MS 38 yrs…Started with you 10 yrs ago at the Catamaran in San Diego…Louise Hay was there. Thank you so Much!!!! I went from thoroughly exhausted to energetic. Helped me with digestive issues. The more I experience / know the better I am at making my own life work and directing others to do the same . It gives me so much confidence and knowing also that I’m always safe whatever situation comes my way. I have seen immediate resolutions on certain ailments (like headaches), though some have taken various sessions to find improvement. More calm & control in my life. Life changing! Thanks for all you do Dr. Yuen!!! Everything is just better and I find I move through life more confident in myself, knowing how to perceive everything in my life. How empowering and freeing! Absolute freedom, I tell you. I get the Yuen Method like nothing else I’ve worked with before. Excellent! Kam healed my back and knee many years ago at a Tai Chi class. More health, energy and confidence to use the method myself. He made me stronger and happier. I was part of his first certification given back in 2002,. It’s a great method that I need to practice and use more often. It’s one of the best methods! I have gained an improved perception of myself and others, and it keeps getting better as I use the vibration bar and watch videos, thank you so much!! !